Vancouver Canucks general manager Jim Benning has a busy summer ahead of him. Deals are needed for a number of pending free agents, trades could be necessary to add to the squad’s depth and Vancouver will host the draft in June. The Canucks management team will sit down over the next few weeks to talk about all of the franchise’s players and look at how to move forward, Benning told reporters at an end-of-season press conference on Monday. But a wish list has already begun to emerge. Vancouver finished the season 26th in the league in goals (219 total, averaging 2.67 goals per game). 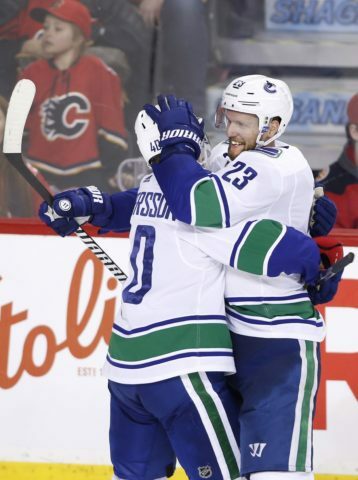 The team also struggled in February after losing top defencemen Alex Edler and Chris Tanev to injuries, relying on younger blue-liners like Troy Stecher and Ben Hutton to eat up tough minutes down the stretch. Despite missing 26 games, Edler posted 34 points (10 goals and 24 assists) and was the team’s top-scoring defenceman. The 32-year-old is eligible to become a free agent on July 1 and Benning made it clear Monday that signing the veteran is a priority this off-season. Edler has spent his entire 13-season NHL career with the Canucks and wants to return. The Canucks also have several restricted free agents, including top forward Brock Boeser. The 22-year-old said at the beginning of the season that he did not want to discuss his contract until the end of the year. He went on to be one of the Canucks’ biggest offensive producers, tallying 26 goals and 30 assists in 69 games. Benning said Monday that the club will reach out to Boeser’s team in the next few weeks to talk about an extension. Boeser said he’s heard from both the Canucks and his agents and that they’re confident the process won’t take too long. 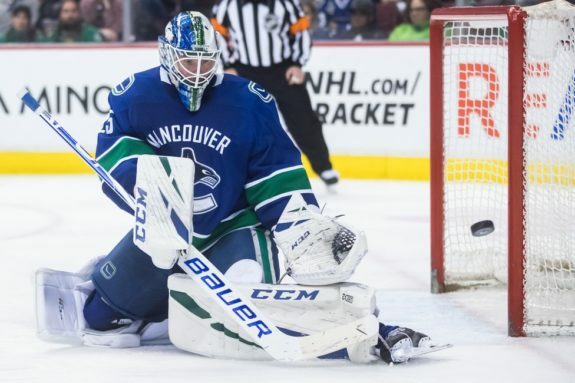 The Canucks also in discussions with Jacob Markstrom’s camp about the goalie’s future, Benning said. The 29-year-old evolved into a No. 1 netminder this season, registering career highs in starts (60), wins (28) and saves (1,730) alongside a .912 save percentage and a 2.77 goals-against average. Markstrom said Monday that he wants to stay in Vancouver and loves where the team is going.